So GameStop has some old-school GameCube controllers that you can use with the new Wii U. I'm pretty excited as I'm working my way through the old Twilight Princess Zelda game... works OKAY with the Wii remotes but sometimes you wanna get back on the GameCube controller... for old times sake. "GameStop has the Wii U GameCube Controller Adapter on sale through its website. You can get it for $50 in a bundle with a GameCube controller. The standalone adapter, which typically sells for $20, is not in stock. The rarity of this item is a demonstration of just how dedicated the Smash Bros. community is to the four-player fighter. When combined, Smash Bros. for 3DS and Wii U was the sixth best-selling game at U.S. retailers last year. 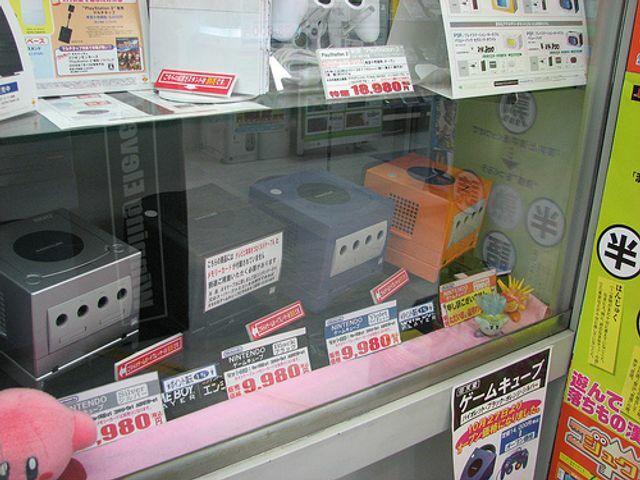 Nintendo only made a finite number of Wii U GameCube Adapters, and the device quickly sold out as the fervent Smash Bros. fan community swarmed every store they could find in search of the add-on. This has led to skyrocketing prices for the official adapter on eBay and other websites. Additionally, third-party manufacturers have since released their own unofficial adapters."